The regional ITV and BBC newsrooms have been buzzing over the last two months with threatening legal letters from lawyers Carter Ruck, all paid for with public money and attempting to gag the press from criticising Somerset County Council, Chief Constable Colin Port and his wife Susan Barnes. Both are party to what must be the dodgyest PPP privatisation contract ever signed in the UK. Under a freedom of information request it has just been disclosed that £90,000 of public money was paid by Chief Constable Colin Port to lawyers Carter Ruck in an attempt to stop Bristol's TV and Radio stations reporting on the IBM/Southwest One contract in which he and his wife had a direct interest. His wife Sue Barnes has been paid £200,000 in salary and fees alone as part of the deal. Initially Bridgewater's plucky Tory MP Ian Liddell-Grainger used parliamentary privilege to kick up a fuss about the SouthWest One contract in the House of Commons and he appears to now be having a running battle with various grey-faced officials which can be followed on his blog. They are trying to cover up all details of this bent contract. Meanwhile gagging order emails have been issued over the same period from Colin Port's Portishead HQ to all lower ranking and senior officers in Avon and Somerset constabulary warning officers not to speak to anyone at BBC Broadcasting House, Whiteladies Road. This followed BBC Crime Correspondant Steve Brodie's reporting of allegations of Colin Port's corruption which were made by Ian Liddell-Grainger MP in the House of Commons under parliamentary privilege. Brodie and the BBC being 'punished' by Port simply for doing their job. Port is using public money to save his crashing credibility as for him the public purse is a limitless pot into which he can dip in a vain attempt to gag the press. This has, according to sources at the BBC, 'seriously affected our crime reporting in the region'. 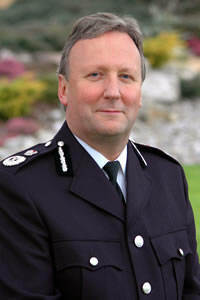 Senior officers of Inspector level and above in Avon and Somerset police are 'exasperated' that they are being sporadically banned from speaking to local press about important matters, under threat of disciplinary action, because of what one officer called a 'personal spat' between Colin Port and local broadcasters. In the last two weeks Colin Port's attention has switched to ITV West who, on July 24th 2008, transmitted an electrifying West Eye View investigative documentary entitled Public Service, Private Gain. ITV-West's reporting of all crime issues in the region has now been 'severely curtailed', again due to emails issued by Colin Port's office in Porishead. The Bristol Evening Post appears to have taken the part of the 'corrupt' Chief Constable in this and has been chillingly silent on the region's biggest public interest scandal over the last six months, preferring to let crucial pieces of evidence of Port's corruption slip out unnoticed in the final paragraphs of innocent looking articles with bland headlines which are quickly removed from the Evening Post's website. Editor Mike Norton is spending his valuable time instead, identifying NUJ officials and activists and getting them 'constructively dismissed'. How long can Avon & Somerset's Chief Constable continue in his six figure public office job when his own malfeasance in office has been exposed? Signing a 'corrupt' contract with a Nazi Holocaust corporation which personally benefits his wife? Also considering the fact that he has neither the confidence of his senior and middle ranking officers nor of the local media and is running the force as if he were the Sherriff of Nottingham, and Avon & Somerset his private fiefdom? Ian Liddell-Grainger's blog - Roger Kershaw and Alan Jones have, once again, conspired to prevent me seeing the relevant parts of the SouthWest One contract. But this time Kershaw was stupid enough to send written proof of the cover-up. the dodgyest PPP privatisation contract ever signed in the UK. You really REALLY don't have the faintest idea do you! You think this is big? Think again, a few times. South West One is an outfit born in secrecy and reliant on secrecy," claimed Ian Liddell-Grainger, the MP for Bridgwater in a speech in Parliament. South West One came into being in September 2007 after six months of negotiations between Somerset County Council, Taunton Deane Borough Council, Avon & Somerset Police and IBM. Its aim is to provide all office services for the three public bodies, like human resources, reception services and I.T., cheaper and more efficiently... But is the deal good FOR council taxpayers of Somerset? The business plan and contract were kept secret - even from local government union Unison... West Eye View had to force the hands of the both councils to see the contract detail by using open government law - the Audit Commission Act. Even having gained access, IBM made a last-minute request that some information was kept from us. Somerset County Council sought legal advice over this request.... West Eye View has learned of further controversy in the months leading up to the signing of the deal when the project was named ISIS, Improving Services In Somerset. 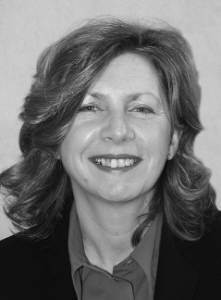 Questions were raised over the fact that the person brought in to run the project, Susan Barnes, was the wife of the chief constable of Avon & Somerset Police, Colin Port..... Ms Barnes was employed as a consultant - brought in under the council's emergency procedures - for 20 months until the deal was signed in September 2007. During that period she earned more than £208,000. The programme also asks what has happened to the former deputy leader of the council, Paul Buchanan, who was a senior councillor involved in the ISIS project and now finds himself the subject of a Standards Board inquiry into his conduct... complaints have been made about him by the chief executive of Somerset County Council Alan Jones... a judgment on some of the complaints made about him has been released. It said there was no evidence of any failure to comply with the Code of Conduct. Cllr Buchanan has support from an unexpected quarter. Ian Liddell-Grainger said: "I have a lot of sympathy for Paul Buchanan. We've crossed swords as you can well imagine when he was deputy leader... I will say this: I'm on the [House of Commons] Public Administration Select Committee and we are going to look at this ...why is a chief executive taking a deputy leader of a council to the Standards Board?". Well its for sure most folk do not know how they are governed, or who by, and for what purpose. Given the global reach of the corruption and differing only in cultural adornment then a regional bent bobby is small stuff .. just a pustular bubble on surface of a fermenting ulcer. The cloak of patriotism grows threadbare from constant ill advised foreign adventures, so it becomes necessary that one feels the steel concealed in a velvet glove called Laura Norder which is clamped around the nations brain. I witnessed the speed of the repression of a deliberately provoked riot in St Pauls. The Zionist Bag Lady Thatcher was PM. Pure street theater for the masses, whilst hard earnt freedoms were surreptiously eroded. When 2 women are arrested for reading out the names of the British Iraq/Afghanistan War Dead at the Cenotaph then I knew it was all over. The most draconian public surveillance nation in the world, a total inability on the part of the authorities to tell a credible cover story to mask state sponsored terrorism .. Remember the SAS were caught at it in Iraq. The corruption must be sought at its core .. the small fry can be jailed later.